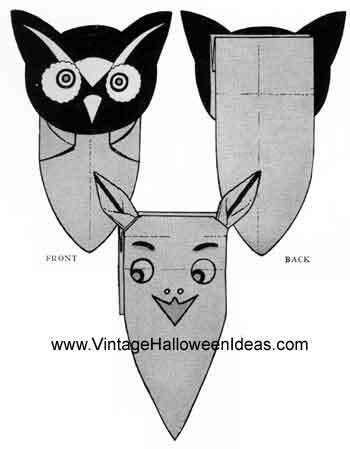 Paper bag Halloween masks are worn over the head, covering the face completely. Holes are cut for the eyes and mouth. the bag should be cut to fit over the shoulders. For safest fit – use brown paper grocery bags. A ghost face made by adding ears of folded white crepe paper. The features are drawn on with crayon. 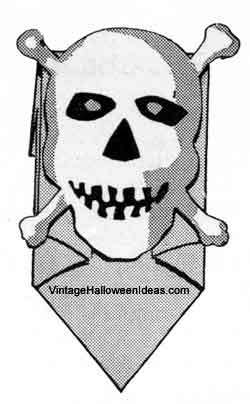 You can use Halloween Decorations for the face on your Paper Bag Halloween Masks.